Compared to other capital cities, property in Berlin is among the least expensive in Europe. The city is lively and interesting but most of its residents prefer to rent their homes, a tradtional which comes from the time of the Berlin Wall. However since the unification the demand for luxury homes has been steadily increasing, with the most desirable being those located in art deco buildings. These are usually well-maintained with prestigious architectural features, high ceilings and wooden floors. Centrally located lofts and luxury apartments are also sought-after. It is important to select the right neighbourhood: Mitte, in the former East Berlin, is the most expensive area of the historic centre and home to the Brandenburg Gate, the Opera, Kronprinzenpalais and Alexanderplatz. The trendy neighbourhood of Prenzauler Berg offers many cafes, restaurants and galleries while the Charlottenburg district is home to the Charlottenburg Palace as well as Kurfürstendamm, one of the city's main shopping streets. 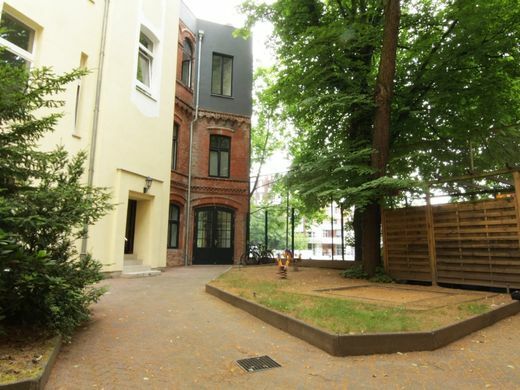 If you are looking for a luxury property, also consider the green, residential area of Zehlendorf situated near Wannsee lake, close to the Grunewald forest and the beautiful Havel river.